In addition to battery preventive maintenance services, we also offer complete battery replacement services including removal and disposal. 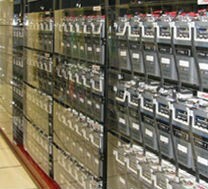 These services are available for any UPS, switchgear, or telecommunications applications. Regular maintenance will help remove potential points of failure and will help accurately estimate when a battery replacement will be required. For more information about our battery maintenance and replacement plans, visit our web site, call 800-876-9373, X705, or email.